Our screen books are unique because they are made of the best quality absorbent, acid-free paper with special surface effects. These accordion style books have 23 pages on each side. Ideal for paintings, memos, photo albums. You can also use the panel screen for display. 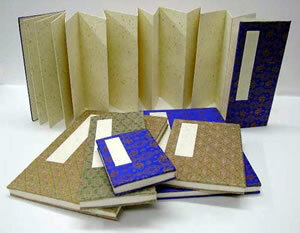 The back side of the books are normally used for calligraphy writing. 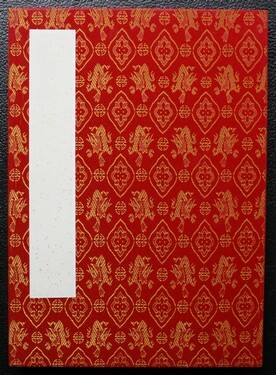 Size: 5.5'' x 8''; Paper: Jin Pi, Red Silk Cover.